When a fire broke out in a second-floor storage space of Paula Cooper Gallery on July 10th, a number of Chelsea Art galleries were thrown into a mad scramble to save their valuable artworks. The cause of the fire, believed to have been electrical, is still under investigation, as is the extent of the fire and smoke damage to both the building and any works inside it. A high-profile disaster, such as a fire in New York’s Chelsea gallery district, raises the question of what exactly happens when an artwork gets damaged in a commercial setting. Who should gallery employees call and when? Where does the responsibility lie? How are the works restored? How is their monetary value affected? Artsy spoke to insurance brokers, lawyers, gallerists, a conservator, and an appraiser to understand what happens to a damaged work, and how it can find its way back to market with its value intact (or not). How do works get damaged in the first place? Judging from the news, you’d think the majority are ruined by careless visitors, with rambunctious children and selfie seekers as some of the most egregious offenders. In fact, these kinds of mishaps are fairly uncommon. Damage is usually caused during transit—in shipping, handling, and installation. 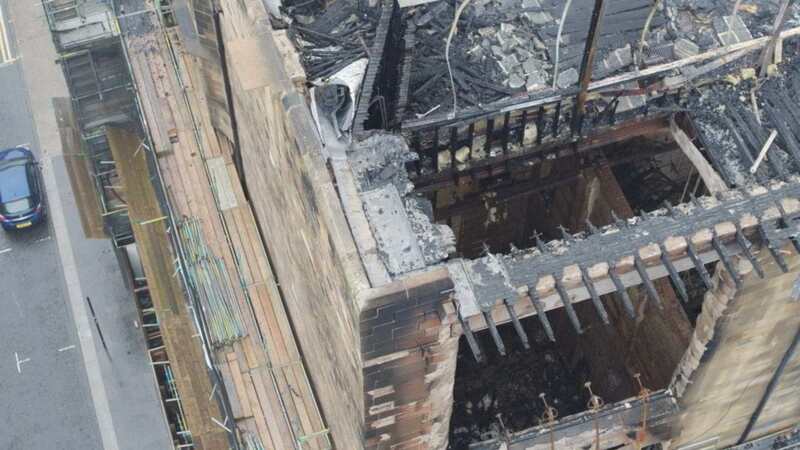 PHOTO: Drone footage has revealed the full extent of the damage following the devastating fire.